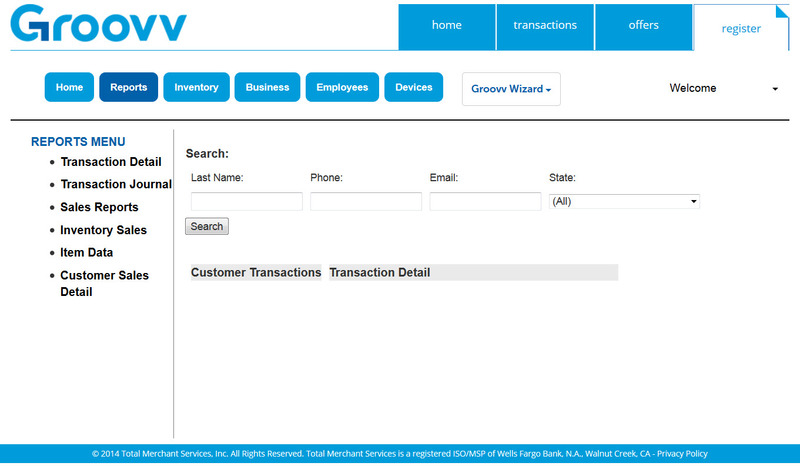 From this page, you will be able to view all of the customers in your customer database and view transactions, with detail, for each customer. Using this page, you will have the ability to search for individual customers, or view them all. You can narrow your search results by searching by Last Name, Phone, Email, and/or State. To perform a search, click on a text box associated with the search information and then type what you would like to search for. 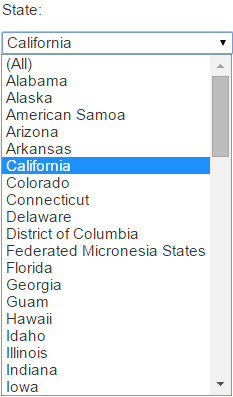 Click the drop-down arrow to create the states list then select the desired state's customer you are looking for. When you have finished entering your search information, click . Once you have done this, your Customer Sales Detail report will appear under the Search button.